If you’d like to grow your own food but don’t think you have the space, look up! Today on Eat Your Words, Cathy Erway is in studio with Annie Novak, author of “The Rooftop Growing Guide.” In urban and suburban areas across the country, farms and gardens are growing atop the rooftops of residential and commercial buildings. In her accessible guide, Annie’s passion shines as she draws on her experience as a pioneering sky-high farmer to teach best practices for raising vegetables, herbs, flowers, and trees. The book also includes interviews, expert essays, and farm and garden profiles from across the country, so you’ll find advice that works no matter where you live. 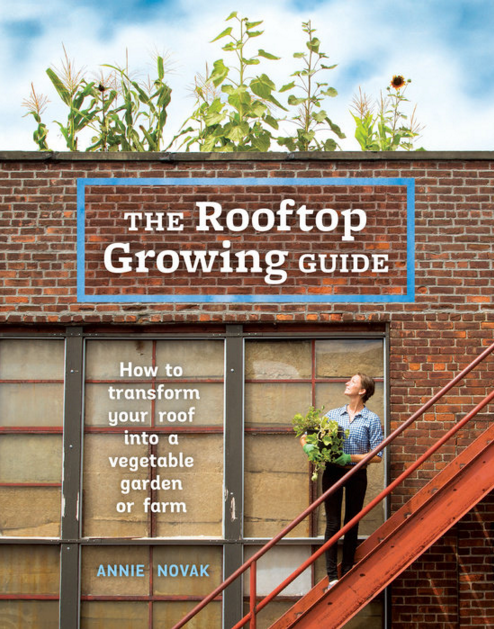 Featuring the brass tacks on green roofs, container gardening, hydroponics, greenhouse growing, crop planning, pest management, harvesting tips, and more, “The Rooftop Growing Guide” will have you reimagining the possibilities of your own skyline. Tune in for more!